Inspiration is everywhere (and especially on Pinterest, yes). I know from our conversations on the Facebook page that many of you get inspired by thinking about shapes, some by seeing beautiful fabric and others by seeing a fun new sewing pattern. Today I'm going to suggest a new kind of window shopping, blog shopping. Some of the blogs in this lists are written by people who love handbags, purses, backpacks, bags, clutches and everything in between as much as you do. 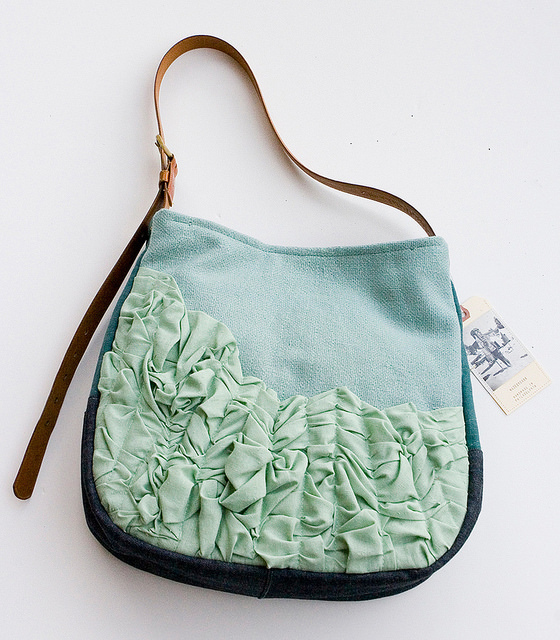 Others are interested in fashion and use purses to accessorise and round up their look. But they all give us some serious bag envy. Purses and I is the style blog of Laura Comolli, one of the most popular Italian fashion bloggers. Laura has a passion for bags on the smaller size, everything from tiny animal-faced purses to fringed leather bucket bags like the one pictured below. If that's what you prefer in your day to day adventures, do take a look at her blog. She publishes content in English and Italian. Stylosophy is another Italian blog about fashion and this is their bag section. 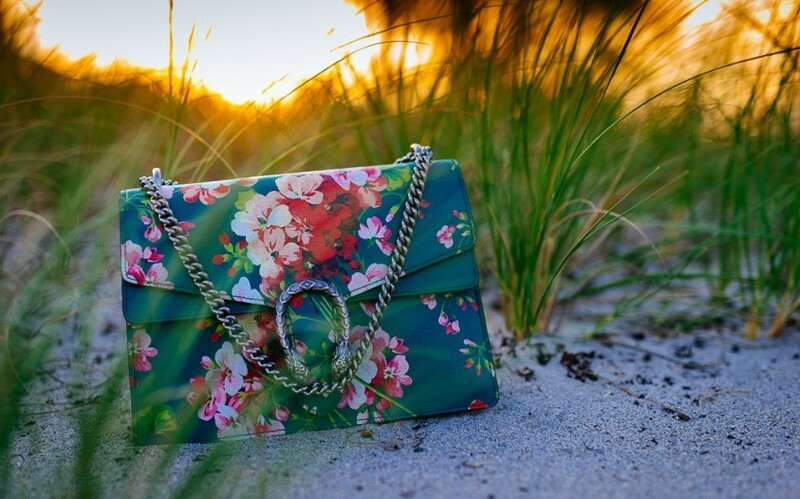 Many of the bags the publishers feature are designer bags but there are some pretty amazing shapes and ideas on this blog, like this floral clutch with a chain handle featured in this post. Curls and Bags is style and fashion blog and its author, Nathalie mixes fashion with travel and beauty posts. She almost always wears a new purse in her fashion posts, like this light pink leather bucket bag. Bag Bliss is another designer bag blog. 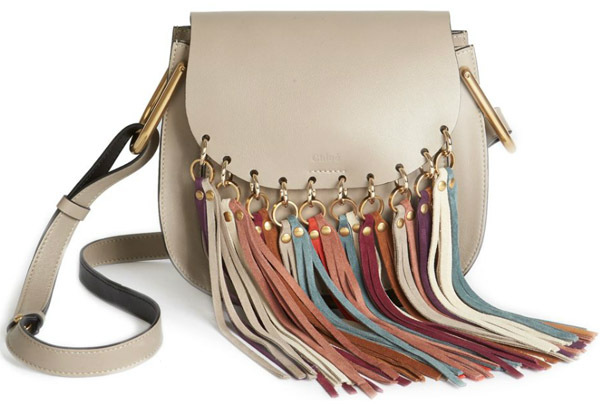 Even if you don't particularly like the look or all the fuss about designer bags, this blog hides some pretty amazing ideas, like this leather tassel messenger flap featured in this post. I think you might have already known the Emmaline Bags blog by now :) But there's always room to praise talent and a job well done. 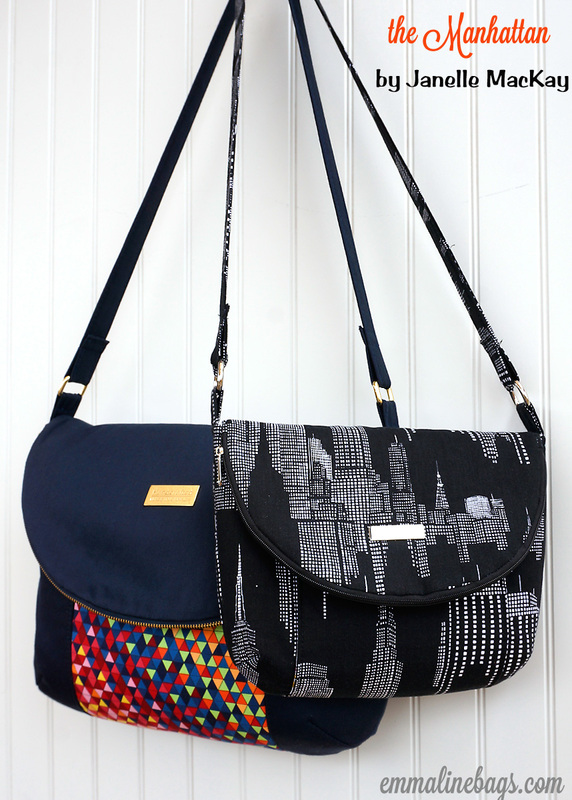 Janelle's blog features indie patterns, tutorials, stories and pretty much everything a bag making aficionado would love to read about. Pictured below is Janelle's Manhattan Bag. Katie Henry is the designer, maker and dreamer behind the indie bag brand Made by Hank. She has stopped updating her blog, unfortunately, but she's still active on Facebook, if you finish browsing the archives (millions of ideas!) if you want to keep an eye on her. Her style is very particular and her bags look amazing. I loved her "tough ruffles" designs like the one below. I also loved that she used vintage belts for straps. The last suggestion is actually an Instagram account and not a blog, but the simple, Japanese inspired aesthetic will hopefully make you forget this tiny detail. Waralee's Day features simple, beautiful shapes in muted or pastel colours. What about you? What are your favourite blogs for bag making?